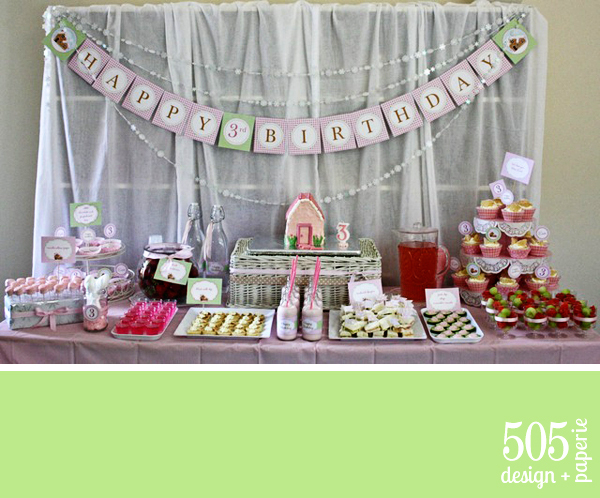 Last month my wonderful customer all the way from Australia sent me these photos from her daughter’s third birthday party. 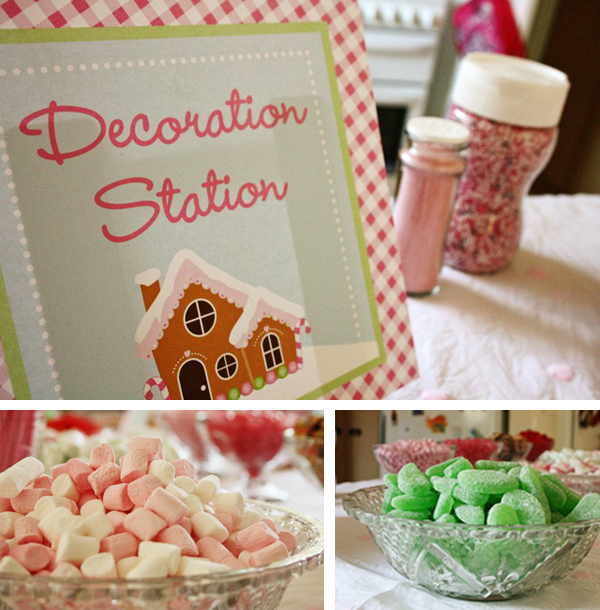 Jem contacted me to create a custom Gingerbread Party printable set. 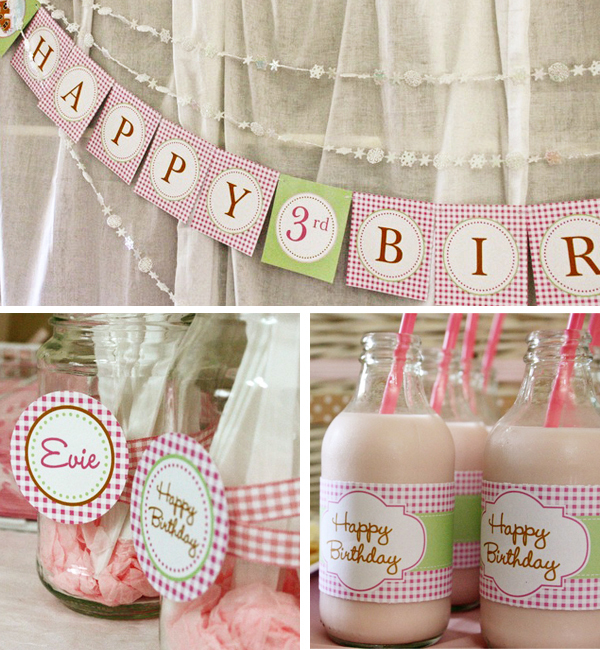 The only instructions were pink gingham with touches of green and most of all girly. 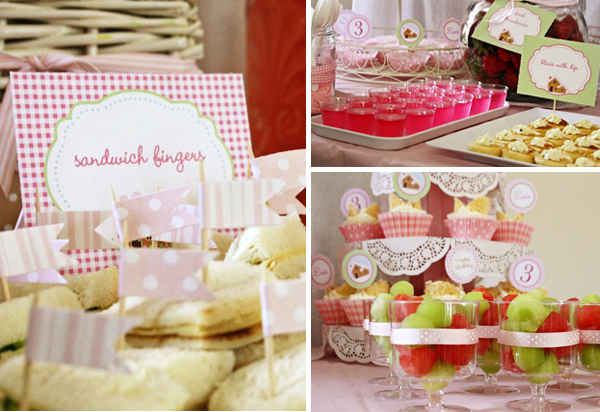 After a few tries we came up with this darling set for Evie’s Big Day. Even the Milk was pink! 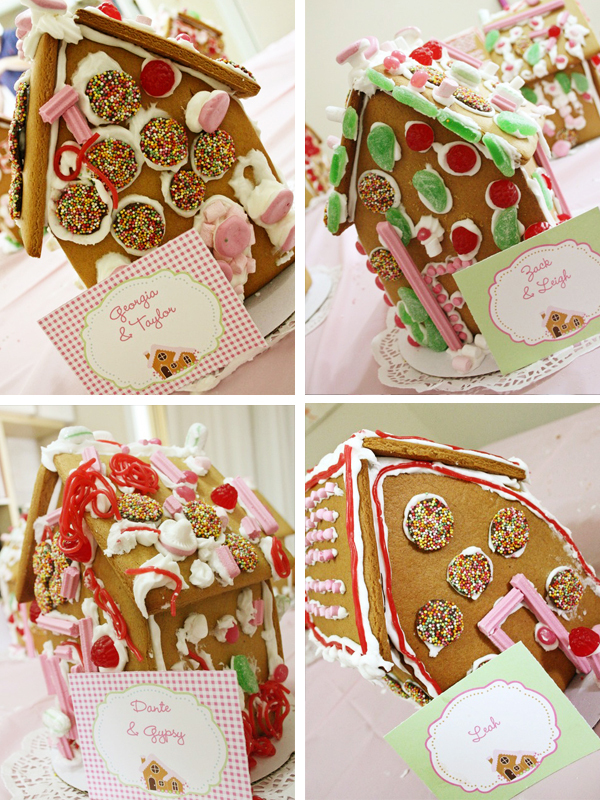 All of the kids did a wonderful job creating adorable gingerbread houses. 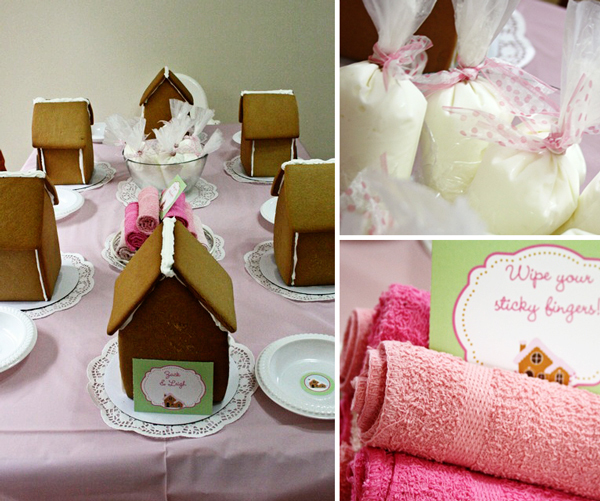 The birthday girl and her Gingerbread House – isn’t she the cutest thing! The printable set & matching invitation is now available in the shop!